This chapter aims to establish embodied movement as both the physical and metaphysical ground for learning, including aesthetic learning in an ecological context. We advocate the moving body as critical to celebrating and deepening childhoodnature. The disconnections from embodiment that have occurred within western cultures and the implications of educational settings that lack an acceptance of natural movement expression and experiential “whole body” learning methodologies are discussed. A double bind arises from the split between mind and body, humanity and nature, and scientific materialism and broader holistic views of science (Moradian, Double Bind: Finding our way back home (manuscript in preparation), 2017). Examples of problems, solutions, and research suggestions are provided through a series of vignettes that offer an analysis of bodily disassociation, or disembodiment, and propose a revitalization of thinking, feeling, and living childhoodnature through the body in and as movement. We suggest that developing a lifelong somatic relationship with our bodies in motion, a relationship in which we bring our attention to our lived (psychosensory-motor) experience, is a powerful way to reclaim that wholeness which allows us to care and connect for self and others, to feel a sense of place and belonging, and to self-regulate our behavior for optimal interaction with our world. Dance has been called forth in recent years as a powerful metaphor, reminding us that time, space, and matter are intimately interwoven through movement (Manning, 2013). Somatic practice, the study of “the living body” or soma (Eddy, 2016a, p. 5) “not as an objective ‘body,’ but an embodied process of internal awareness and communication” (Fraleigh, 2015; Green, 2002), can offer a way of remembering our place in the living world, a way of dancing which engages us consciously in the movement of life in its fullest sense, rendering each life a work of art (see also Rousell & Fell, in press). This chapter aims to set embodied concepts of childhood and nature in motion by establishing an aesthetic of embodied movement as both the physical and metaphysical ground for learning. We advocate the moving body as critical to celebrating and deepening childhoodnature. We begin by outlining the disconnections from embodiment that have occurred within western cultures. We discuss the implications of educational settings that lack an acceptance of natural movement expression and experiential “whole body” learning methodologies. A double bind arises from the split between mind and body, humanity and nature, and scientific materialism and broader holistic views of science (Moradian, 2017). These are hurdles we must overcome to return to wholeness. We provide examples of problems, solutions, and research suggestions through a series of vignettes that offer an analysis of disembodiment and propose a revitalization of thinking, feeling, and living childhoodnature through the body in and as movement. We share views that work through the concept of childhoodnature as a moving experience and the embodiment of movement itself as a living creative process of learning and transformation. Rather than proceeding in a linear fashion, we have preferred a visceral, intuitive, and creative interplay of words, ideas, movements, metaphors, images, and interrelations, which can be envisioned as a dance. A key thesis of this chapter is that including bodily movement in education is important and that, in order to specifically foster concepts of childhoodnature, selectivity about the types of movement education engaged in matters. We propose the use of activities that meet the goals of whole-bodied engagement merged with teaching somatic awareness that supports compassionate, kinesthetic empathy. We purport that learning both personally and experientially includes the ways that nature interacts within ecologies, providing strategies for self-regulation, sustainable relationships, and coexistence that are necessary for species survival. Somatic movement education, especially within a “social somatic” context, meets these objectives even within the adverse conditions of disruption, displacement, fear, bullying, harassment (Eddy, 1998, 2016a), violence, and torture (Eddy, 2010a). For the purposes of this chapter, the term “somatic movement” is being used in its fullest sense to include not only contemporary practices of mind-body integration but also all practices that engage whole body-mind-being in life-affirming relationships, including the antecedents of somatic practices within indigenous cultures in the East and Global South. The body itself is an important landscape for learning, a complex system within other complex systems, including not only natural and physical ecologies but also ecologies of thought, feeling, community and culture. Dwelling in the moving body opens directly to the experience of childhoodnature – to the vast field of relational interplay that is life. This state of awareness establishes direct and interactive relationship with nature, teaching us to recognize what is sustainable and what is destructive. Our long experience as movement practitioners indicates that these patterns of movement spill over into a myriad of relationships. The attempt to set humanity apart from nature predated the Cartesian split of mind and body (in the early seventeenth century) by at least a couple of millennia, both in the west and in the east. A dualism between “that which endures and that which changes” was introduced during the late Bronze and early Iron Age (1550 BCE to 600 BCE), preparing the way “for the distinction between energy and form, later to become that between ‘nature’ and ‘spirit’” (Baring & Cashford, 1993), and followed by a rejection of both body and nature. Economist John Maynard Keynes “believed that it was fear of the unknown which played the predominant part in shaping the religions, rituals, rules, networks, and conventions of society. The function of belief systems and institutions was to give humans courage to act in face of the unknown and unknowable” (Skidelsky, 2010, p. xix). At least since Archimedes (287–212 BCE), if not well before, enormous effort has been invested in the attempt to systematically understand, predict, manipulate, and control the natural world. Great strides have been made in this direction since that time. Hannah Arendt, however, presciently predicted that in discovering the Archimedean Point (that point outside the earth from which we might control and manipulate it), we would find ourselves stranded, outside and apart from our world, unable to find our way back in (1998). The alarming increase in dysfunctional human behavior (Brown, 2010) and the destruction of planetary equilibrium (Brown, 2009) point to a “self-correcting system which has lost its governor” and has begun a “spiral into never-ending, but always systemic distortions” (Bateson, 2000, p. 212). Despite the advancements of science and technology, persistent behaviors, dominant belief systems, and their constructs (Berger & Luckman, 1966) have brought us to a point that places life on the planet and the web of life that sustains us in peril (Capra, 1996). To survive within the human world that we have created, we have learned to shut off our feedback systems of embodied awareness, pretending that we neither affect nor are affected by one another or our world (Brown, 2010; Eddy, 2016a; Stromsted, 2017). This deeply entrenched idea of humanity apart from nature, and the separation of body from mind, has created a double bind (Moradian, 2017). Gregory Bateson identified a double bind as “a situation in which no matter what a person does, he can’t win” and suggests that living in a double bind contributes to schizophrenia (2000, p. 201). While our deepest human need is intimacy, connection, and belonging (Brown, 2010; Stromsted, 2017), we have systematically disconnected in order to “succeed” in our rational, competitive, consumeristic world. When we disconnect from the body, we lose our sense of place and self, along with our capacity to feel, self-regulate, care, and belong. When we disconnect from nature, we deny the processes and structures of relationship that sustain life. When we disconnect from each other, we render our actions toward each other less and less humane. In our desperation to fill the vast emptiness engendered by severing ourselves from the experience of our lives, we race ever-faster away from our unbearable discomfort or toward the acquisition of something we hope will relieve it. Western civilization, we find, has developed into a culture of detachment, objectification, competition, and exploitation, with an economy based on relentless acquisition, consumption, and waste of limited resources. In the USA, Johann Hari points out astutely that “We have created a society where a significant number of our fellow citizens cannot bear to be present in their lives” (2015). We suggest that the violence we see outwardly expressed against each other and our natural world reflects this less visible violence of disengagement that many of us commit against ourselves on a daily basis and that this condition is perpetuated in our schools. 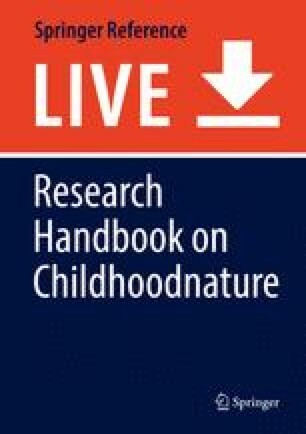 In writing this chapter on the role of movement in re-establishing life-affirming interrelationship – which we see as fundamental to childhoodnature – we recognize that we speak primarily from a western, northern-hemisphere perspective. While accounting for only a minority of the world’s population, the western exploitative and hegemonistic perspective has been disturbingly successful in spreading, bringing the world today to the threshold of disaster. Understanding and addressing the issues that lay at the roots of this malaise may help prevent or even inoculate against it, as well as find ways to engage in new patterns of dynamic equilibrium (Capra, 1996; Capra & Luisi, 2014). Furthermore, awakening to knowledge from and rooted in non-western and indigenous cultures is vital to restore balance through holistic self-regulation and health, as well as in giving voice to disparities (Low, 2013). We enter the world through the body, embraced and cradled in the ceaseless motion that is the hallmark of life itself. The body is, simultaneously, a landscape in and through which we discover, explore, and express our being; a vehicle through which we navigate, learn about, and act with/in the world; and our primary dwelling place. All matter is an expression and a part of nature and is in a constant process of change. An ongoing state of dynamic balance is foundational to all living systems (Capra & Luisi, 2014; Margulis, 2011). This includes the human body and human being. Every child born into this dimension of time-space enters and experiences the moving world through a moving body. Neither movement nor the body can be separated from nature. We suggest that “mindful movement” and the relatively new field of somatic education offer a way, like “Ariadne’s string,” to remain conscious as we delve deep within our moving bodies, immersing in and merging with our living wholeness (Eddy, 2016a). In the context of childhoodnature, aesthetics, and sustainability education, we propose that repairing the mind-body split is necessary not only for personal health and wholeness but also for healing our relationship with each other and with nature. Helping children embrace, maintain, and retrain healthy patterns of being in their bodies is critical to transforming the violence both in and against our world into healthy, sustainable, and life-affirming relation with it. Allowing children space and time to move through, in, and with their universe, to feel, sense, ponder, play, and explore what it is to be alive and a part of the world – to dance with life – is essential to embracing this sense of wholeness and belonging and to accessing the resilience and creativity needed as we face the unknown future. We purport a dire need to establish patterns of consciously inhabiting the body, caring for and tending to it before children shut down access to their senses, emotions, intuitions, and their capacity “to move and be moved” (Moradian, 2017, p. 8). We also advocate for all children being equally important and deserving of healthy conditions for growth. We suggest that developing a lifelong somatic relationship with our bodies in motion, a relationship in which we bring our attention to our lived (psychosensory-motor) experience, is a powerful way to reclaim that wholeness which allows us to care and connect, to feel a sense of place and belonging, and to self-regulate our behavior for optimal interaction with our world. Children burst forth into the world clamoring with thirst, hungry to be loved, and driven to move, discover, and grow. Each conception and birth comes from movement and is a call for relationship. We enter life engaged with our universe in an ongoing process of motion. Movement is an elemental part of being alive and functional in the world. We attend the environment with our eyes, ears, nose, and skin and, more, respond with our muscles, joints, and vocal apparati, our full bodies in motion. These movements form the basis for learning and transformation. In this sense, education cannot be separated or abstracted from the environment or the body, nor can it be demarcated to the confines of a body, a school, a program, a family, or a community. The use of abstraction, logic, language, and linear and mechanistic thinking have been highly successful in comprehending, managing, and controlling our world. These are powerful and important tools, but not our only tools, and not appropriate to every situation (Abram, 1997a; Capra & Luisi, 2014; Williams & Brown, 2012). Indeed they could not work without the primary tools of learning through listening, touching, doing, and being. Our first movements are unconscious, beginning in the womb, and gradually become more conscious as we explore our environment. Maxine Sheets-Johnstone (2009) correlates the beginning of consciousness with the choices made by cells for survival, to go toward or away from stimuli (see also Capra, 1996; Capra & Luisi, 2014). Successful physical development requires healthy and efficient access to and use of all available body parts and, through exploration with any body parts that are able to move, links to metacognitive processes. Movement provides this critical connection of brain and body that expresses choice; strengthens autonomic functioning, balance, and motor activity; and promotes psychophysical intelligence (Eddy, 2016a; ISMETA, 2003). Movement stimulates biofeedback. One somatic premise is that “the body itself holds many of the lessons we need to live sustainably in the world” (Moradian, 2017, p. 9). We suggest that it is particularly important to help children establish and maintain healthy patterns of “mindful movement” and “embodied being” before the natural skills of full-bodied self-awareness are dismantled. Keeping the body’s feedback systems turned on and engaged allows us to sense self and our agency. In the same way that we affect our environment, the environments we interact with can support this process of self-making (Eddy, 2009, 2016a) and communities-in-the-making (Dewey, 1927). We assert that “staying awake” and engaged through movement is a reciprocal relationship, an interactive and collaborative creative process. We further propose a somatic approach to movement as a creative lens through which to experience our lives as a living work of art (Roussell & Fell, in press). And when life is the work of art we attend to throughout the duration of our lives, then there is no doubt that art can and does change the world. Movement is a vast domain, from simply breathing to full out dancing, and the scope for study of its impact in different settings is enormous. Learning can be evidenced through successful motor planning, effective nonverbal communication, establishing positive climates through socio-emotionally astute games, play, embodied learning activities, role-plays, assessing the quantity and quality of psychophysical reflection, and the products of art-making. Each facet of whole body-engaged learning awakens related interneural connections of internal and external perception. Dance is a key resource. Dance education is at the forefront of actively engaging learners in diverse STEM and STEAM subjects – science, technology, engineering, arts, and math. Virtually every imaginable subject has been danced and many have been chronicled. Somatic educators seek to keep the dancing spirit alive whether indoors or outside by creating environments that are sensorially rich and provide freedom for diverse, peaceable responses. Movement is also inherent in school day transitions (e.g., from classroom to lunch, from hallway to school bus). Indeed, it is these moments that cause many teachers angst and certainly when bullying and other sorts of conflicts arise (Eddy, 1998, 2016a). Embedding movement games, body awareness, and physical activities during these periods are reported to instigate an enjoyable shift in a school’s climate. Movement has begun to be built into the day to make time for recuperation as well. Yoga, in particular, has become a familiar component in many school days, largely because it is taught as a series of relatively still, formal postures that promote breath, flexibility, and mental concentration, while helping to manage emotions and stress. Its relative stillness is often easier for teachers to manage than freer forms of movement. However more open-ended movement is a support to higher-order learning. Education can be evoked through play, sports, dance, and outdoor recreation among other modes. Learning through movement and motor responses may be revealed in numerous more subtle ways, including gesture, whole body “everyday” movement, or the action of the voice in words or song. 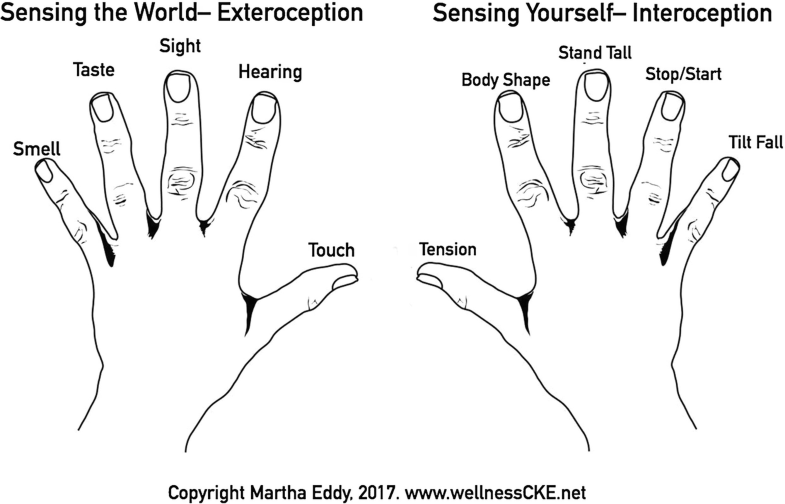 The full cycle of sensory stimulus and motor response brings us into the cycle of sensory-motor action, also known as perceptual-motor activity. When educators are creative in introducing diverse sensations that allow for full-bodied and “free-to-have-one’s-own-truth” responses, we become more sensate and alive. When awareness of both the environment outside of ourselves and our presence within ourselves awakens, we are embodied (Eddy, 2016a). Play has its roots in nature and seems closest in maintaining childhoodnature. It demands presence, inviting participation and engagement in the moment. It calls upon all of our human capacities, and all of the senses, serving as a form of both exploration and recreation. Play immerses us in a universe of complexity and possibility, demands attention to surrounding stimuli, develops strength and agility, and helps us explore and build relationships. Play allows us to try something new or test out a variety of hypotheses, including those about physical potential, environmental awareness, and social skills. It provides a space in which to take risks and to fail, fostering imagination, creativity, resilience, and responsiveness. Even play fighting has value. While any type of fight is perhaps not a typically desirable goal, it is one of the few socially acceptable outlets in many western cultures for boys to touch one another (Beardall, Bergman & Surrey, 2007; Eddy, 1998, 2016b). At its best, play is a bodily immersion in experience, fully cultivated in an aesthetically rich multisensory and safe environment. Inviting children to share their experience and stories in movement, rhythm, and sound can awaken awareness to the rich layers of nonverbal communication that make up 60–93% of our communication patterns, tapping into layers of self-expression and creativity (Eastman, 2011; Thompson, 2011). What environments foster the richness of play and play that enhances childhoodnature? Learning gardens and soil are an excellent example of multisensorial environments that integrate learning about science, aesthetics, life, and interrelation (Williams & Brown, 2012). Like learning gardens, movement activities based in somatic awareness, no matter what the physical environment is, “take us beyond intellectual understanding, opening a door that connects the living world inside to the living world outside” (pp. 147–148). Play is an active doing, necessary for being more cognizant of our world, especially as an antidote to the overriding experience of being “talking heads.” When subsumed by intellectual and technological tasks, we need to reawaken sensorial alertness to the natural world. It is interesting to note how much sensory input is no longer “real” but rather is only available through virtual stimuli and interaction. Play in nature is a dying art form in urban areas and in education. This is unfortunate. Outdoor play allows for a myriad of responses including self-awareness and growth. Nonetheless, where play in nature is not possible for logistical or conditional reasons, there are many forms of movement through which proprioception (knowledge of self) and kinesthesia (self-awareness of movement) can be taught. Dance improvisation is a form of play that can happen in simple open and even fairly confined spaces. Dance/movement education out of doors brings us closer to the dances and ritual derived from ancient tribal and indigenous practices. Somatic dance allows for this sense of ritual and interconnection, whether indoors or outdoors. Educational policy is supported by research that demonstrates that these methods help us to keep our humanity and our animal wholeness intact, along with our ability and willingness to respond, connect, communicate, interact, and tend to our world in healthy, constructive, and sustainable ways. Musical Seeds is one such curriculum that brings classes outdoors to meet educators devoted to preserving the cultural heritage of planting and harvesting. In the process of learning about plant life, students are exposed to the music and dance that accompanies the agricultural process in diverse continents. Important to movement research is finding more information about what and how physical activities enhance all aspects of development (Lovatt, 2011; Ratey, 2008). Several schools of somatic education hypothesize that the progression of movement development corresponds to neurological development (Bainbridge Cohen, 1993; Dart, 1950; Dimon, 2003; Feldenkrais 1989, 1997; Hannaford, 1995; Miller, 1933; Murray, 2005). A powerful choice is to focus on those movements that accompany brain development. Embryonic movements through the first year after birth performed in sequence include skill-building, beginning with control of the head and senses; learning to lift and strengthen the upper back; rolling over (which also helps shift attention); waggling and then crawling to get somewhere using core muscles necessary for becoming upright; sitting (a crucial social skill); creeping on hands and knees; cruising along a table or with other upper body support; standing independently; and taking first steps, critical to individuation. These accomplishments are relatively uniform for all human beings with variation due to disability and across cultures (e.g., as in Bali where children in traditional environments are not placed on the floor). Somatic movement educators often have students follow this developmental movement sequence (or adaptations of it) as a way of working toward more efficient overall function (Bainbridge Cohen, 1993; Dart, 1950; Dimon, 2003; Eddy, 2012; Feldenkrais, 1989, 1997; Thelen & Smith, 1994), but there is little empirical research substantiating it (Eddy, 2002, 2012). While Thelen and Smith found physical coordination could be gained, and Arnold Gesell hypothesized brain development in response to movement, research is needed on specific potential cognitive changes. Research on mindfulness and meditation has been underway for some time now, and research into the effects of conscientious movement practices has begun (Kabat-Zinn, 2003; Psychology Today, 2015). For example, results from studies in neuroscience begin to distinguish between the effects of breathing practices, meditation, and physical yoga postures; between mindful practices like yoga or tai chi and walking; or between formal sequenced dance movements and improvised ones (Lovatt, 2011; Telles, Sharma, Yadav, Singh, & Balkrishna, 2014; Villameure, Ceko, Cotton, & Bushnell, 2015). What is more easily studied than the response of deep brain structures to movement is how the brain responds to thoughts about movement – also known as imagination, ideation, or ideokinesis (Bernard, Steinmuller, & Stricker, 2006). Ideokinesis, a somatic movement system developed by Lulu Sweigard and based on the work of Mabel Todd, works with images of movement – ideation of kinesis, movement, primarily to improve performance (Matt, 1993) and reduce injury. It asks participants to track their proprioceptive cues before, during, and after their practice. Current research on goal-oriented movement, like dance virtuosity, shows that thinking about movement is best timed in advance of an action and results in heightened movement performance. Our bodies are not only our access to nature; they are nature. Awakening to the senses is a necessary and important part of reclaiming relationship with ourselves and orienting in our world – knowing who we are, how we are, and where we are. Our bodies are the sensory lived experiences of nature that are ever present in our lives. Movement teaches responsiveness. It is the active, creative, and life-sustaining response to paying attention to our world. It includes ease as well as challenge, falling, and balance. Somatic movement highlights the simultaneous experience of sensory awareness and carefully interlaced responses, providing an interface between our inner and outer worlds. It is this type of perceptual-motor interaction that the authors advocate as a perfect way to affirm the importance and value of childhoodnature. Its strategies can aid in repairing the fractures that have led us to unhealthy patterns of relationship at all levels. Perhaps it is here that the potential to transform unconscious (and often negative) life patterns into “conscious positive habits” resides. Somatic movement happens when the mover is aware of his or her psychophysical experience. Proprioception, the ability to know one’s own body position via information from the joint and muscle receptors within the nervous system, and kinesthesia, being aware of how one is moving through space – as perceived by proprioception combined with information from the vestibular system and eyes – assist awareness of more than bodily experience (Eddy, 2016a). They awaken a sense of self, including our emotional self (see Fig. 1). Environmental stimuli are also known to trigger emotions. Emotion within decision-making is embedded in the concept of embodied cognition, as discussed earlier. Somatic movement practices recognize that emotions and thought correlate with body movement and bring awareness to this. Hence through somatic awareness of bodily experience, researchers and practitioners often describe a capacity to sensitize more fully to self, other, and surroundings (Bales & Nettl-Fiol 2008; Williamson, Batson, Whatley, & Weber, 2015). Karen Olness proposes that every child “have an opportunity to be hooked up to a biofeedback system, maybe some sort of computer game that was cued to a physiologic response” so they might understand “Aha! I change my thinking, and my body changes” (cited in Moyers, 1993, p. 78). Access to simple biofeedback instrumentation is a great goal. Given budget limitations in many education settings, it is also important to consider avenues to self-awareness that involve minimal costs. Somatic education and mindful movement practices offer a type of personal biofeedback enhancement (Eddy, 2016a). Giving children the sense that they can have control over their behavior is a critical strategy for self-regulation. Within the somatic paradigm, rather than receiving feedback from technology, the feedback comes from a refined ability within oneself to register changes in the body-mind through the other five senses our body provides – proprioception of (1) muscle tension; (2) joint angle and kinesthetic; (3) awareness of posture; (4) self-perception of stopping, starting, and velocity; as well as experiences of (5) tilting, falling, or turning. In the domain of biofeedback, we undervalue the importance of having permission to “fail,” particularly in learning environments. Falling is a case in point. We learn about our place in the world by striving to become upright and stay upright. The process of finding balance includes working with a combined experience of gravity, surfaces, natural and man-made objects, and atmospheric pressures. Learning includes both finding balance and sometimes falling and learning how to get back up. Learning is, after all, an encounter with the unknown. In her work with teenagers, Moradian finds it particularly important to help students become comfortable with imperfection and meeting the unknown. Once students understand that “perfection is a moving target” (2016) rather than an achievable goal, their entire body language changes: eyes brighten, spines lengthen, and they breathe more freely. It is easy to impose our own fears and limitations onto others’ honest and sincere process of growth and learning. As educators, we need to know when to step back and give our students the time and space to explore their questions (like How does this relate to the world I know and care about?) and not just answer ours. This “validate(s) their own experience and give(s) them the courage and clarity they need to live their lives with authenticity, confidence and creativity.” It also “invite(s) them to participate in and take ownership of their lives” (Moradian, 2016) and their learning. From our first entry into the material world, we are immersed in an ocean of not only space but also time and rhythm. Each body has its own natural rhythms of breath and blood; work, rest, and play; and birth, regeneration, and decay. These cannot be separated from the body or from our world. Natural rhythms surround, embrace, and weave their way throughout our lives. Trying to bypass nature’s rhythms, like pushing children to reach developmental markers ahead of their body’s natural development, is actually counterproductive. The documentary film The Moving Child interviews experts in motor development, occupational therapy, dance therapy, and psychology who espouse the necessity of allowing babies the time to discover their natural movements. There are dozens of articles on the deleterious impact of baby walkers and other products used to accelerate a child’s development (Lamont, 2015). Toddlers shown the “solution” for how to traverse a jungle-gym bridge, for example, miss out on the exploration of their own embodied and lived “questions.” Parents and educators can, instead, take a moment to scaffold experiences with verbal and nonverbal prompts, like: What is this thing? How does it feel? What part of your body is touching it? How might your body and this object interact? What can you do with it? Time is an invisible, inseparable, and often forgotten aspect of space (Abram, 1997a). It critically influences how we relate with ourselves and our world. Pushing ourselves to do more in less time – this adds a layer of stress. Taking time to “do nothing” or immerse in a soothing natural environment seems to wash stress away and often helps us function better. Having the perfect environment serves little purpose if we do not also make the time to experience it. When we allow ourselves to pause, “suspending” the moment between experience and action or inquiry and response, we open a fertile space of not knowing (Bigé, 2017; Fiadeiro, 2017) which can provoke fear but can also expand into a state of listening, imagining, questioning, searching, experimenting, and discovering. Like play, this time for listening is a powerful place where creativity, new possibility, and transformation reside. The compression and expansion of time-space becomes evident when observing the difference between the martial arts of Aikido and Kinomichi. Developed by Masamichi Noro (a disciple of Aikido’s founder Morihei Ueshiba), Kinomichi uses many of the same forms, techniques, and principles of Aikido but encourages encounters to slow down in time and expand in space. Much like somatic inquiry, this slowing down opens up more internal space for a deeper, more conscious, and nuanced exchange of information through the bodies’ contact. At faster rhythms, the time to process and become conscious of information diminishes, increasing the risk of injury for inexperienced practitioners. This extension of time and space in Kinomichi reveals how the same movement slowed down can unblock tension and heal, without losing its capacity to guide and direct. This expansion of “embodied time” is the basis of somatic movement therapy and somatic psychology. Speed and efficiency can be useful in competition (like running a race) or in an emergency (like dousing a fire), but when misplaced they “compress time” and abbreviate our experience. In many countries, our business, social, and economic systems propel us forward ever faster. This trend, evident since the beginning of the industrial revolution, is exacerbated intensely today by the speed of information exchange through the internet and digital technologies (Fleurot, 2017). Always on “high speed,” we often set our adrenal systems on high alert, affecting our mental and physical health (Eddy & Zak, 2011). By habitually moving too fast, we shut down receptivity to our own feelings and to those of others, effectively numbing our senses and in turn our sense of self. The pressure to accelerate the rhythm of our lives toward relentless efficiency not only diminishes our capacity to inquire, engage, and assimilate but can also be seen as a form of violence (Moradian, 2017). Alan Block (1997) views the lack of contemplative, Thoreauvian space and movement within the school day as a form of violence as well. All rhythms have their value, but in high-speed, high-stress, reactive cultures, the somatic maxim of “slowing down to feel” (Eddy, 2016a, p. 140) is called for. Racing with time leaves no space to wander, wonder, ponder, respond, or integrate, the very experiences that connect us with our naturalness. Though typically situated in studios, gymnasiums, out-of-doors, or other open spaces, learning through the body can occur in any environment. Schools with an ecological focus often structure their programs in naturalistic environments like parks and learning gardens or other nature-rich settings, which are all ideal. Many educational institutions, however, have limited access to nature and open spaces and minimal funding for field trips, special equipment, or events. Ideally all school administrators would have data on what types of natural and man-made environments, beyond gymnasiums and natural spaces, best foster childhoodnature and different types of learning and design curricula accordingly. The goals of embodied learning in educational environments can range widely and may include all subject areas, as well as environmental empathy, socio-emotional development, aesthetic development, and somatic awareness. Curricula that encourage bodily play or creative interactions can also be supported by shifts in school environments – introducing a new suite of sensory learning and responsive possibilities. This engagement can happen indoors or out. Indoor spaces can foster movement and body awareness. One school in Cambridge, Massachusetts, brought physio-balls (large gymnastic balls) into the classrooms to be used as chairs, others are using standing desks, or, in the case of Adaptive Design Associates lead by MacArthur winner Alex Truesdell, schools work with local artisans to create cardboard seats and desks that suit the varied bodies of children, including those with disabilities (Lomot, 2013; www.AdaptiveDesignAssociates.org). As another example, the Pono Learning Center in New York City (www.PonoLearningCenter.org) is a school that has explicitly chosen to use a limited amount of low-to-the-ground furniture, with open wooden floors, low platforms and tables, and well-sanded tree stumps. These are moved around, and children are found sitting, standing, lying, or balancing on them throughout the day. They are thinking, drawing, writing, reading, and discussing with the “furniture” available to support any of these activities. Learning groups happen here in circles or clusters of children, with occasional lines. Varying spatial formations among people foster different ways of relating – horizontal, vertical, and sagittal. These relationships with each other and within the space allow a person to bodily self-adjust for the sake of comfort, focus, and health but also promote new perspectives within relationships. Varying spatial formations in the classroom is like being invited to change your seat during a performance. This flexibility of place allows for multiple perspectives, inbuilt recuperation, and ever-changing contact within the group process of relationship building. Another example is EcoMoves for Kids, a curriculum from the Center for Kinesthetic Education (www.WellnessCKE.net) that engages students in physical activities (e.g., dance, hikes, cleanups, etc.) outdoors, reflects on these experiences indoors using movement and dance, and then strives to bring awareness to the needs of local flora and fauna around the school, teaching advocacy for students’ suggestions for adaptations to their school environments (e.g., use of water fountains and bottles, roof gardens, etc.). Providing ergonomic furniture (including adjustable standing desks and varied seating options, like balls and kneeling chairs, Lomot, 2013) and outdoor exploration are emerging exploratory trends. Including more movement within these indoor and outdoor environments is critical to completing the sensory-motor cycle and to overall well-being that comes from being present and aware of the body and the environment. The powerful drives and emotions the body contains can be, like nature itself, exhilarating and joyous but also confusing, uncomfortable, and disturbing. Ultimately, the body decays and we come face-to-face with death. Like nature, the body is a wild space where life brushes up against us and challenges and defies our control (Abram, 1997b). The body may be our home for the duration of this experience called life, yet cultural practices alternate between celebrating our embodiment and escaping it. The body is our birthright, yet many of us reject it. A sense of place is not only about the surrounding physical environment. From a somatic vantage point, place begins with the body. Disregarding the need to listen and to give voice to human movement or to learn movement skills is a way in which we reject not only the body but life and our very place in the world. When life is tough, or as Hari (2016) suggests, “unbearable,” people take flight from their bodies, disconnecting from embodied experience in numerous ways (van der Kolk, 2014). These disconnections may be expressed as numbing (which, according to Brené Brown, “cannot be done selectively”), imposing certainty on uncertainty, imposing or insisting on perfection, pretending that we do not have an effect on other people or our world, perpetuating systemic racism and classism, intellectualization, addictions (including workaholism, overstimulation, and technology use), post-traumatic stress disorder (PTSD), and “spiritual bypassing” whereby people use spirituality as a way of avoiding their embodied emotions (Brown, 2010; Masters, 2010; Stromsted, 2017). When we disassociate from the body, experience and learning remain only partial. Partial, disembodied existence makes wholeness, healthy functioning, and, according to Antonio Damasio, even full consciousness impossible (Pontin, 2014). Movement not only helps us to be present, but it makes us visible. In safe environments this can be a cause for joy and pride. However in hostile environments (whether socio-emotional/psychological or physical), people often prefer to cut off from their physical selves in order to become “invisible.” For instance, in the film Invitation to Dance (Linton, 2014), people with disabilities struggle to find private venues for parties to avoid being blatantly visible while dancing. In a “safe space,” they overcome their fears and open up to the joy of dancing. In many western cultures, people dim the lights or imbibe mind-altering substances to lessen self-consciousness that comes from “showing our bodies in movement.” Another example is the courage it takes for female students with hijab to play soccer – one of the only semi-acceptable ways to engage in physical movement as teenagers in Muslim countries (Sheerazi, 2017). Harsh judgment and strictures about the body, body image, and body action may make for caustic learning environments. What causes judgment may be rooted within cultures or the minds of individuals. Economics may play a role as well. Instead of striving for nonjudgment, awareness of interdependence, and creative interaction, a commercialized, objectified, competitive world fosters indifference to others. This can lead to negative judgment of one’s self and others, repressive power dynamics, bullying, and violence. These types of interactions can be seen in corporations and governments, as well as among individuals, and within schools (Katz, 2013). The effects of bullying and self-consciousness are enormously deleterious – from shame to suicide among children, teens, and adults. When working with the body and movement in school, awareness of the continuum from stress to trauma and how these conditions are impacting youth can be important. In an ethnographic analysis of six violence prevention programs across the USA, Martha Eddy (1998) gathered information about embodied movement practices in conflict resolution and peace education. The study found that all educators benefit from skills for dealing with abuse and trauma, given how rampant physical, psychological, and sexual abuse and cultural dislocation are (one-quarter of the world’s population lives in nonpermanent housing). Teaching in nature is often a wonderful way to calm the nervous systems of students and teachers alike. Any teaching community can strive to provide, or devise democratically as a group, guidelines that contribute further to calm, by ensuring emotional and physical safety. Another set of findings from Eddy’s research revealed that excellent educators of conflict resolution selected topics for exploration such as self-control, increasing awareness of potential violence (with the goal to detect and avoid it), developing the strength to stand up to injustice and violence, and/or pointedly engaging in peacemaking. Eddy has created a matrix using these features to ensure that programs meet their own objectives (1998, 2016a) across the continuum of violence prevention and peace education. For instance, when teaching peace education, it can be deemed insufficient to simply teach self-control; adding self-defense, self-assertion of one’s own strength and power, and compassionate work with others for peace makes for a fuller experience of diminishing conflict within the context of societal injustice (Eddy 1998, 2010b). Within the conditions of discomfort including, but not limited to, fear, overwhelm, hopelessness, confusion, callousness, indifference, pain, negative judgment, poverty, bullying, abuse, and violence, people of any age may disconnect from the body, becoming numb to one’s own sensations (Eddy, 2016a). Some people might stay physically connected with their bodies, building up irritability that may result in bouts of aggression or even violence (Eddy, 2016b), which can be further amplified by interaction with violent media, television, and games (Carlsson-Paige, 2008). More education is needed. In Chinese medicine, the movements of tai chi and chi gong teach people “where their center is, what is a balanced form, where the right and left are… In the Chinese culture that defines health. If you can figure out where your center is and how to concentrate your mind, you’re healthy, and once you lose that, you get sick” (Eisenberg cited in Moyers, 1993, p. 282). While teaching at Columbia University, a native of mainland China reported to Eddy (2002) that “finding center somatically” was new and not part of her traditional Chinese experience. The somatic work transformed an abstract idea into a powerful and visceral experience. Eisenberg explains that it is the combination of mindful attention and conscious movement that is essential to the Chinese idea of well-being in the world. “One without the other is not enough.” The Chinese consider the universe to be made up of both the physical and spiritual, “and the struggle is in maintaining the balance between the two forces.” In addition, movement is experienced within an ethical framework that includes how you treat others and yourself (cited in Moyers, 1993, p. 283). This idea of holistic experience, a relationship of “systems” within systems (Capra & Luisi, 2014), is central to wholeness and health from an ecological perspective. It is also foundational to somatic approaches such as Laban-based Bartenieff, Body-Mind Centering, or Dynamic Embodiment and in the Feldenkrais method, as well as many eastern and indigenous approaches (Eddy, 2016a). In these embodied practices, “We can touch this place of wholeness where body and mind, emotions and thought, matter and energy are given to us as one” (Ford cited in Eddy, 2016a, p. 255). The challenge in this state of complex and interrelated wholeness is to be awake fully to the internal and external – self and more-than-other (Abram, 1997a) – which “lies at the heart of the challenge of co-existence” (Moradian, 2017, p. 11). Helping children become conscious of the body’s experience, affirming its wisdom, and learning to moderate its impulses are important steps to dwelling, at home and at ease, in the body. Only then can we really begin to experience what it is to dwell on the planet. This harkens back to Gregory Bateson’s “ecology of mind” (2000). Somatic education is built on European, Eastern, and Afro-Caribbean constructs (Eddy, 2002, 2016a) that unify the physical and the mental, action and contemplation. Mind-body movement techniques use the mind to “control the body” (Eddy, 2016a). As is hopefully clear by now, the “body-mind” approach of somatic education (with various forms shaped by cultural framework and/or historic settings) offers the particular vantage point of listening to the body to learn from it, mining psychophysical wisdom. Educational approaches akin to somatic education are understood in the psychological and sociological domains as well. Bessel van der Kolk finds that “mindfulness” helps emotional regulation, physical health, and stress-, psychiatric-, and psychosomatic-related symptoms including depression and chronic pain (2014, pp. 211–212). He highlights yoga, tai chi, qigong, African drumming, and the martial arts which “focus on the cultivation of purposeful movement, and being centered in the present” and points out that they all combine “…physical movement, breathing, and meditation” (p. 210). Cognitive linguist George Lakoff also acknowledges the importance of embodiment (2004). Celebrated educator Nel Noddings asserts that education should expand its focus from linguistic and logical intelligence to include also spatial, bodily kinesthetic, musical, interpersonal, and intrapersonal intelligences (based on Howard Gardner’s theory of multiple intelligences) with a focus on caring (cited in Williams & Brown, 2012). Somatic education builds upon all of these, and particularly upon caring and empathy, by building the capacity to feel, to integrate, and to respond creatively and appropriately to life circumstances, linking directly to agency (Shafir, 2015). Noddings focuses on developing students who are healthy, competent, and moral people even if this is at odds with a national agenda of education, which in many cases may be “disconnected from life.” In the same way that Williams and Brown argue for the living soil as “a dynamic metaphorical guide” that affirms life and “brings attention to relationship as a central feature of education” (2012, p. 139), we suggest the living body is a learning landscape that both affirms and teaches us about life, complexity, responsivity, and relationship. The body in motion is the foundation for experiential learning. Ironically, some experiential learning does not highlight, or even recognize, the knowledge gleaned from the vehicle of our very experience – the body itself. As we embrace an awareness of self in relation to the ongoing movement of life, in all its complexity – as we begin to dance with that ongoing interrelated process of transformation that is our life – we can readily extend this understanding to the classroom, community, culture, ecosystem, and biosphere. Movement can be used to teach, exemplify and improve content learning, smooth out school-day transitions, provide brain and body recuperation, and be a powerful source for aesthetic experience and development (Selver-Kassell, 2008). When any of these movement activities are done in nature or with nature in mind, one is entering into the domain of eco-somatics. An eco-somatic approach can be central or adjunctive in curricula. It is a reflection on bodily experience, sensation, and response to sensation as experienced in whatever nature is available that completes the childhoodnature cycle. By learning with the whole body and bringing awareness to what is learned through the body, we experience the very essence of being interdependent with and part of nature. Lessons on breath are the quintessential example. A somatic approach to learning could focus on oxygenation, the human cardiovascular system, chemical processes, and our interdependence with plant life, all while actually breathing, smelling, and tasting the quality of the air. Experiences, like feeling the pulse and the pumping sensation of the heart, the rhythm, textures, length and depth of the breath, and visualizing the five lobes of the lungs and their three-dimensional, balloon-like expansion and contraction, are best followed by reflection and discussion about the sensations, discoveries, and curiosities that emerge. Moradian invites her students to “release the resistance to the breath” by incrementally letting go of contractions in the throat, chest, and heart region that restrict the lungs’ capacity to breathe fully. She encourages them, both viscerally and through the imagination, to slow the breath and become aware of the “nourishment and support, cleansing and release that come with each and every cycle of breath” (Moradian, 2015). Breathing immerses us experientially in our deep interconnectedness with the living planet and can tangibly remind us of the dynamic processes and balance inherent to all living systems. In addition to deep inner awareness and awakening to our interdependence with the world around us, breathing practices like these prepare the learner to be more comfortable “at school” by massaging the abdominal organs, oxygenating the body’s cells, and calming the nervous system (Eddy & Zak, 2011; Iyengar, 2010). Bringing attention to the sensations of the feet while walking on different surfaces, to the living nature of the soil beneath the feet, to the relationship of bodies and plants to gravity and their movement and growth, to the vestibular system with eyes open and closed, and to how occluding different senses alters sensory awareness. Discussing what happens when living organisms become dehydrated, malnourished, or poisoned and then paying attention to the sensations that arise in the process of drinking water or eating a snack, followed by imagining how a plant “drinks” or “eats.” These could be followed by reflection on metabolism or the liquidity of our bodies and the planet. To shift beyond sensation into motoric, creative expression, it is critical to allow for more options. Free movement is the most explicit choice. Allowing a student to choose three postures and move between them teaches the making of a “movement statement.” The postures or movements selected can be related to a discussion theme – like representing three states of water, three moods, three types of stress, three different trees, and three animals. Three is a key number because it represents a sentence – a beginning, a middle, and an end. Group discussion can go in a myriad of directions. In her doctoral research, Eddy found that the process of co-choreography enhances problem-solving and builds peer leadership (1998). Peter Lovatt’s research in dance psychology shows that improvisational movement opens up a world of “divergent thinking” (2011), including experimentation, invention, and creativity. Dance education research is adding to the canon of how to enhance information retrieval including the potency of movement memory, and discussion among dance education professionals supports the hypothesis that experienced improvisers are not only more comfortable encountering the unknown but also often even relish meeting change and challenge. In reclaiming our bodies and our place in the larger world, dwelling within the living system of our bodies and nested within the living systems of the earth, we shift from what might be a parasitic or exploitative relationship with our world to a symbiotic interaction with nature. Biologist Lynn Margulis defines symbiosis as “the living together of more than one species.” She asserts, “all organisms that you can see with the naked eye are living in symbiosis with others,” and cooperation between species is more common than competition for evolutionary survival (2011). In a videotaped presentation to NASA in 1984, Margulis explained how life on earth (including humans) can actually make the world greener and more alive, as long as it is in dynamic balance. For adults and children alike, equilibrium depends upon the ability to respond appropriately to the feedback we receive, through and also from our bodies (which includes, but is not limited by, what we think of as our “minds”). We cannot disconnect from our bodies and still hope to respond optimally. In welcoming movement and the ongoing process of change it stimulates, we can move from stationary dis-ease into ease, presence, and a natural state of flow; we move toward health and wholeness, not simply as individuals but as ecologies of community and place. This takes time and attention, along with a willingness and ability to respond to the intricate, subtle, complex messages coming from the myriad of relationships that we, in the west, have tried to ignore or deny. Neglecting our bodies in education teaches us to disconnect from nature. To embrace our interdependence demands humility and requires a willingness to recognize both our power and our vulnerability – that we affect and are affected by all that we encounter. In conclusion, we suggest that changing conditions in both our human and more-than-human worlds demand better communication and optimal responsivity at all possible levels. The ongoing state of dynamic balance that is life demands our willingness to dwell here and now, consciously in our bodies, face-to-face with complexity, contradiction, and the unknown. This expanded consciousness, or “reconstruction of patterns of thought” (Bateson, 2000, p. xii), moves us to recognize our interdependence with our world, helping us to treat the earth not as our possession but as our home and as our symbiotic partner. Embodiment processes like somatic movement can help us to reconnect with the multilayered worlds of our living body in place. The goal is to reclaim the natural, any-shape, any-person’s, nonobjectified, non-commercialized body and to live in healthy relationship with it. As we do this, we engage and participate in our learning processes and nourish our ability to respond to challenges with creativity and agility. Life-affirming, movement-friendly environments need to be cultivated. Caring for ourselves, each other, and the earth is called for, not simply as a “good” thing to do, but as a necessary part of thriving in and with our world. This is more than just a dance. It is the dance of our lives and life. The history of progressive, constructivist, and existential schools of education has hypothesized that enactive education that includes sensitivity to the needs of planetary and community sustainability produces learners who are aware of and care for the environment (Eddy, 2016a). By promoting awareness and self-management of the feelings and sensations that come up in the process of learning, we can encourage children to experience and shape the world in life-affirming ways. Our contention is that aligning education and conscious embodied movement intensifies not just self-awareness, self-knowing, self-care, and self-regulation but also moves us to act and interact with greater awareness and care for others and our world, including the places we inhabit and share (Eddy, 2016a). “The body (is) the portal through which we can re-enter the world – even after we have locked ourselves out… Consciously attended, the body offers a living landscape for deep ecological experience” (Moradian, 2017, p. 8). Abram, D. (1997b). Waking our animal senses: Language and the ecology of sensory experience. Retrieved from: http://wildethics.org/essay/waking-our-animal-senses/. Brown, B. (2010, June). The power of vulnerability (Video). Ted Talks. Retrieved from: https://www.ted.com/talks/brene_brown_on_vulnerability. Craig, B. (2013, June 11). A complex mapping of the interior sense: Why Damasio’s theory focuses on the brain stem and viscera. Neurophenomenology. Retrieved from: https://neurophenomenology.wordpress.com/2013/06/11/a-complex-mapping-of-the-interior-sense-why-damasios-theory-of-embodied-cognition-focuses-on-the-brainstem-and-viscera/. Dalton, M (2008). The Chair, It’s Time to Rethink Ergonomics. An Interview with Galen Cranz. Portland Spaces. Oct/Nov 103–108 Accessed 10 Nov 2017. http://bodyconsciousdesign.com/uploads/interview_galen_cranz_portland.pdf. Eastman, B. (2011). How much of communication is really nonverbal? Retrieved from: http://www.nonverbalgroup.com/2011/08/how-much-of-communication-is-really-nonverbal. Generative Somatics, S. K. (2017). Hains, Executive Director. Retrieved 27 Sept 2017 from: http://www.generativesomatics.org/content/what-somatics. Hanna, T. (2015). What is somatics? Somatic Systems Institute. Retrieved 30 Sept 2017 from https://somatics.org/library/htl-wis1. Hari, J. (February 5, 2015). Video interview on Reality Asserts Itself. Retrieved from therealnews.com, TRNN.com. Retrieved from: http://www.therealnews.com/t2/index.php?option=com_content&task=view&id=31&Itemid=74&jumival=13156. ISMETA, (2003). Scope of practice. Retrieved 30 Sept 2017 from https://ismeta.org/about-ismeta/scope-of-practice. Lamont, B. (2015, May 20). The evolution of neurological reorganization. Retrieved from http://neurologicalreorganization.org/uncategorized/the-evolution-of-neurological-reorganizationd/. Lomot, R. (2013, June 19). What works? Alex truesdell and adaptive design. Retrieved from: http://www.partners.net/blogs/what-works-alex-truesdell-and-adaptive-design. Lovatt, P. (2011, June 22). Dancing, thinking, hormones (Video). TedXOslo. Retrieved from: https://www.youtube.com/watch?v=-kCZZp3u_xE&t=173s. Pontin, J. (2014, June 17). The importance of feelings: An interview of Antonio Damasio. MIT Technology Review. Retrieved from: https://www.technologyreview.com/s/528151/the-importance-of-feelings/. Psychology Today (2015). Mindfulness: Present moment awareness. Retrieved June 26, 2015 from: https://www.psychologytoday.com/basics/mindfulness. Stromsted, T. (2017, February 27). Soul’s body: Healing the body/psyche/soul split through conscious embodiment (Webinar). Retrieved 27 Feb 2017 from https://www.authenticmovement-bodysoul.com/souls-body/. Thompson, J. (2011, September 30). Is nonverbal communication a numbers game? Psychology Today. Retrieved from: https://www.psychologytoday.com/blog/beyond-words/201109/is-nonverbal-communication-numbers-game.